The Ukrainian Sea Ports Authority (USPA) on Tuesday has issued a tender for the dredging works at two Ukrainian Azov Sea ports, according to Xinhua. The dredging project with an estimated cost of about $18 million will be carried out in the Mariupol port in eastern Donetsk region and the Berdyansk port in southern Zaporizhia region, said the statement on the USPA website, Xinhua reported. The planned volume of the dredging works in both ports is 2.9 million cubic meters. The project is set to be completed within eight months after the start. The USPA said it hopes to get propositions from local and foreign contractors during the bidding process that ends on February 2, 2018. Read alsoCargill's new Yuzhny terminal to bring over $30 mln to Ukraine's coffers per year"I strongly invite dredging companies to take part in this tender and I hope for its success. The project would have an impact on the functioning of our two ports and on the overall cargo logistics in the Azov basin," said Rayvis Veckagans, head of the USPA. This year, the Ukrainian government has launched a major renewal of the country's port infrastructure to boost the logistic capacities of Ukraine. 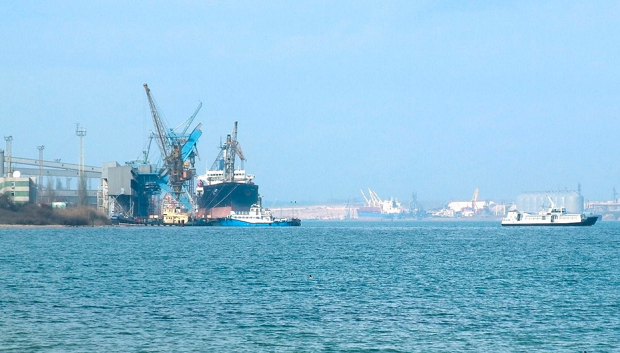 In April, China Harbor Engineering Company Ltd. (CHEC) won a tender for the dredging at the Black Sea port of Yuzhny in Ukraine's southern Odesa region. As of December 21, the CHEC has completed 99.3% of the first part of the dredging project, going ahead of the agreed working plan by 68%.